Sell your MOON SAFARI items on eBay ! Moon Safari is a great symphonic prog band from Sweden, a land full of great prog bands. They have always impressed me for their highly melodic symphonic rock laced with extraordinaire, stunning four part vocal harmonies. Their second CD Blomljud was the top 2008 album for me. However, there was always this slight fear that their incredible sound was much the result of studio work out. I mean, could they reproduce those intricated vocal arrangements while playing their instruments in front of an audience? Their music is not exactly the most complex in the prog world, and yet it is hard enough for most average musicians. Well, I´m glad to say they answered that question with their first live album. The Gettysburg Address was recorded during their perfomance on the Rosfest and it is a testomony of their terrific talent, criativity and tastefulness. While their most recent studio album (Lover´s End of 2010) showed they might be concentrating more on their vocal parts than on the instrumental passages, this double CD clearly indicates they are, in fact, an excellent band on its own and capable of very fine vocal-less music. In fact they started the show with an eleven minute instrumental called Moonwalk (a clever collage of several themes from the group). Not bad at all! The keyboards parts are specially inspired, with lots of vintage timbres, as well as several electric guitar lines. They are better musicians than I initially thought they were. And yes, they can reproduce their incredible vocal parts live. They were in fine form that night, perfoming their longest (and best) epics like A Kid Called Panic and Yagur´s Farm. But the highlight of the evening (and the CD´s) was when they finished their set playing the whole 30+ minute suite The Other Half Of The Sky (clearly a prog classic of the new millenium). Sometimes is hard to believe this a live recording, for everything works right on: the perfomance is impeccable, the sound crystal clear (you can hear every single instrument) and the production is spotless. The kind of live album one band must be proud of. It´s almost 100 minutes of music in total, but it feels like it is much shorter than that. Most of the tracks prove to be as relevant live as it is on the studio and in some cases, like New York City Summergirl, sound better here than on the original version. There is no real lows on this CD: you can hear it form start to finish without skipping single track. Ok, they might sound too melodic and too "happy", even tacky, for some radicals, but, boy, do they remind me of a time when prog music was also very pleasant to the ears! I just love this album! Five stars for a five star perfomance of great stuff! Simply essential for any prog lover who also likes fine, melodic songs. Whatever I may have first thought, the classic, symphonic sound of progressive rock is not dead. While I may not always appreciate the paradox by which many bands have regressing back in time in order to be 'progressive', taken on a purely musical level out of context, it's impossible not to see some great bands crawling out of the woodwork. MOON SAFARI is a band many proggers will have at least heard of. Their second album '[Blomljud]' is still hailed as one of the best prog albums of the new millennium, and for good reason. 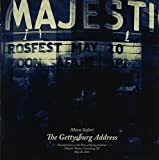 With influence of GENESIS and THE FLOWER KINGS readily evident, MOON SAFARI make some damned fine music within their particular brand of prog, and it's showcased perfectly in 'The Gettysburg Address'. While I'm rarely enthusiastic about live albums (and especially double- disc live albums at that!) MOON SAFARI's recording of their 2011 ROSFest headline is about as close a true concert experience as one can get, without actually being in the theater that night and seeing it live. 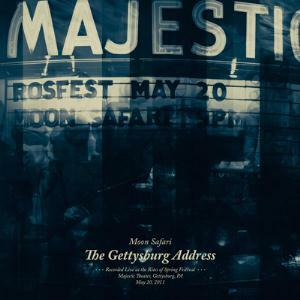 At an hour and a half long, MOON SAFARI pull no punches with 'The Gettysburg Address'. Normally, I would condemn a live album for being this length; after all, why make something so long that listeners may need to schedule bathroom breaks in between? In the case of MOON SAFARI, it works, not only because of the music's quality, but because it is an earnest attempt to recreate a 'concert experience'. Many live albums tend to be a 'best of' performance collection from a tour, but the recording here is a single take, appropriately beginning with the ROSFest host mildly introducing the band, and complete with some affable banter in between tracks. Even the band being heckled at one point in the performance simply adds to the feeling of 'being there', and that's not something many live albums are able to pull off. Speaking of the actual music that goes along with the album, MOON SAFARI's sound is at times a little too cheery and upbeat for my own taste, but there's never a moment where the musicianship and orchestration dips in quality. Especially considering that this is a single take without pause, the sheer precision and tightness of the performance is nothing short of amazing. The opening instrumental 'Moonwalk' and epic final 'The Other Side of the Sky' might be my favourite parts of the show. Of course, none of this material is 'unique' to 'The Gettysburg Address', but this live recording certainly compliments the existing compositions. The recording sound is so pristine that one might be fooled into thinking it's just a very organic-sounding studio recording. That's the magic of 'The Gettysburg Address'; it manages to capture the experience of a live setting, without the setbacks usually suffered by live albums. My only potential gripe is that the performance essentially reprises what may already be heard on a studio release, but the power of everything is emphasized here. Without a doubt, MOON SAFARI and 'The Gettysburg Address' is one of the most impressive life albums I've ever heard. 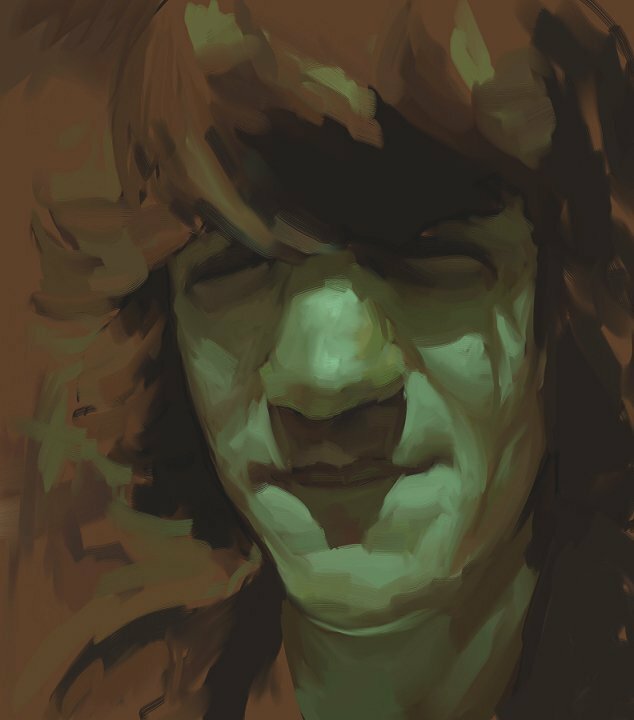 The more Prog (and music in general) you listen, the harder it is to feel pleasantly surprised by something new. Some would say "new", as they would deem Moon Safari's work as 70s nostalgia feverish dream. Not me though, I am Moon Safari's fanboy for almost five years now (their Blomljud reached my hands in late 2008, my first year of intentional Prog listening) and even after hundreds of listens (of mostly Blomljud, but to (not so much) lesser extent also first and last albums), I am not tired of them. Nope, not at all. So introductions are over, how exactly this album stands in my mind ? As perfectly executed gig with both glamour+solid substance underneath all the polish. It has the good ol' combination of melody+complexity, which is winning combination almost all the time. Whether you like MS or not, their expertise on their respective kinds of instruments can't be denied. Their approach to melodic element of Prog groundbreaking in context of modern vintage Prog (and there's no denying of this, they're not ashamed and as well shouldn't be, because they're good at what they're doing. Not just that, they're perfect in this respect). Earlier today, I was listening a bit experimental Avant-like Synth based group. It was fine, I was entertained, I enjoyed the innovative approach (different one), although my musical tastes lie usually elsewhere. But now it's late, I am tired after long day of doin' stuff (you know) and right now, this music is exactly what I need. It helps, it soothes nerves, but still that part of my brain which needs "quality" (one of reasons why I listen Prog) is satisfied too. Ladies and Gentlemen, this gig is pinnacle of Moon Safari's 8 years effort. Post a review of MOON SAFARI "The Gettysburg Address"